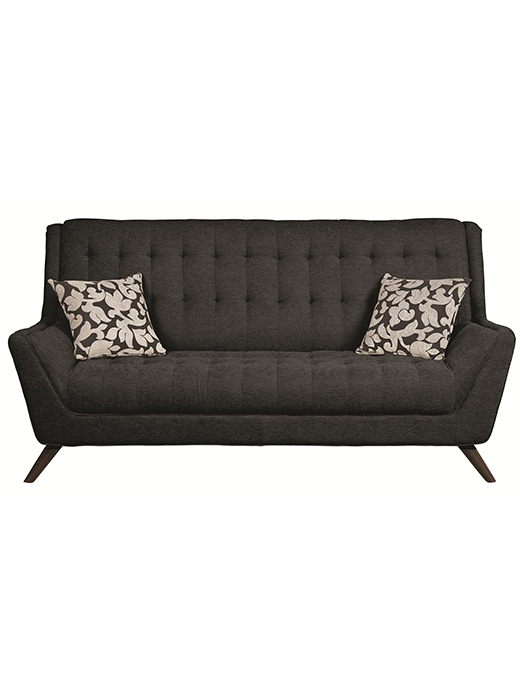 With a retro contemporary design, the sofa creates a statement in your home. 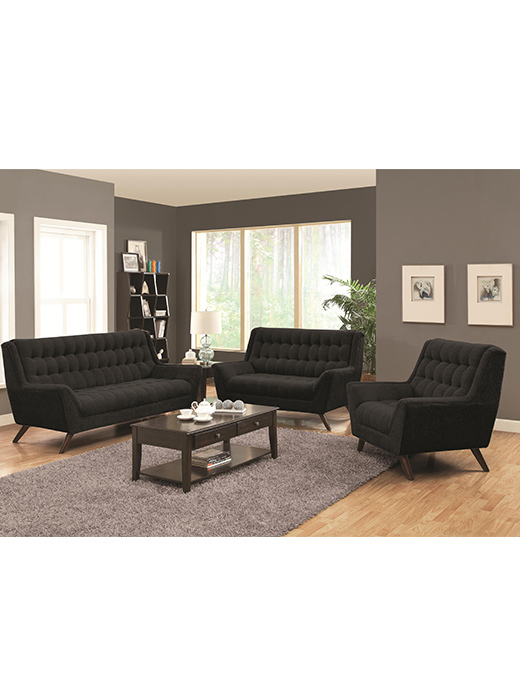 With a retro contemporary design, the sofa creates a statement in your home. 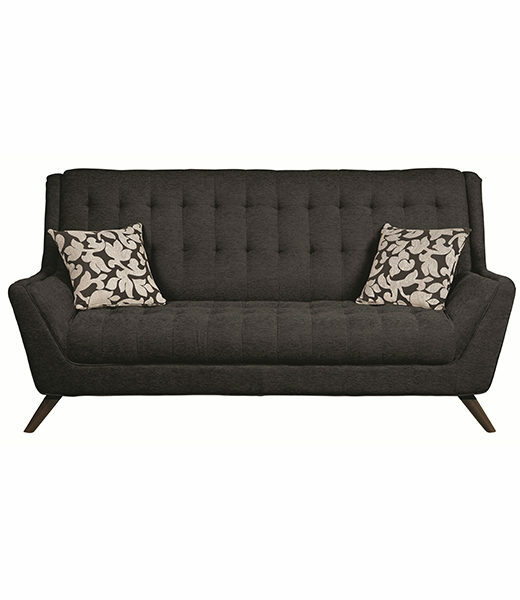 Not only stylish but comfortable, the sofa features thick tufted seats, low padded flare arms and is covered in a soft chenille. 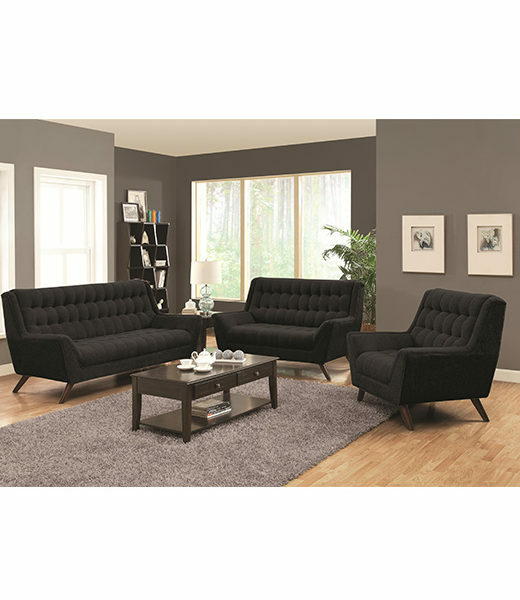 The tufted style with angled mid-century legs gives pattern and depth to the sofa.